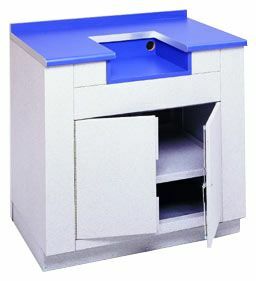 The RF03 Weight Rate Table with Storage can be used alone or with any of HSS Industries' Modular Retail Lobby Furniture line. Meets new USPS retail color specifications. Perfect for any lobby udate or renovation.